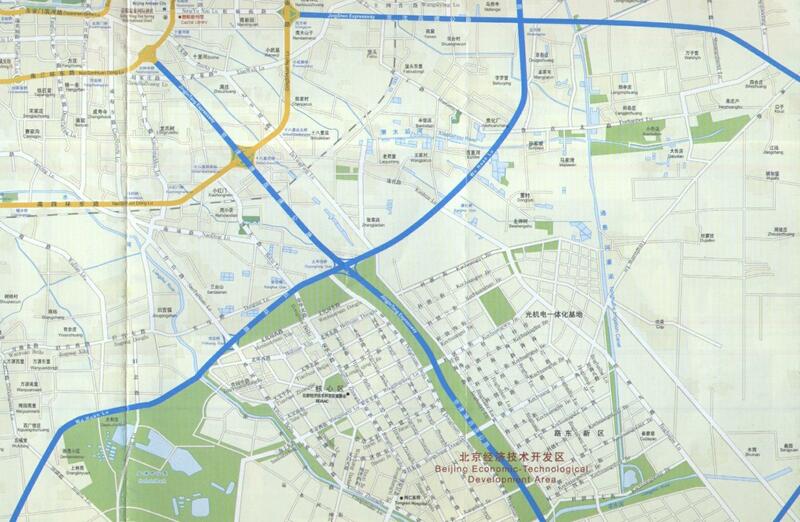 The Map Image extends between the South-Eastern area's of the Chongwen District of Beijing's Central Old City of which Longtan Park can just be seen in the north-west (left upper corner) of this map image, and the south and south east of Yi Zhuang High Technology Economic Development Zone. A large part of the northern border of the development zone is made up by Wu Huan Road, which serves at the 5th Ring Road of Beijing. JinjinTang Expressway cuts in a south-eastern direction through the center of the zone.